If you come with us you’ll discover wonderful locations, full of energy and with a great Atmosphäre. We are teaching in Etage°, a very centrical location in front of the main station, Sundays and Tuesdays. Wednesdays you can find us in La Boca, a dance school next to the cathedral in the historical part of the city. We were teaching in Oldenburg for the last four years. Our courses take place at Nadorsterstr. 60-62, on the back side of the street. 120sqm. for you to dance! You can see more information here: Zouk courses in Oldenburg (German). 18:30 to 19:30: New beginners course. 7,50€/hour for students and jobless. You pay at the beginning of the month just for the days you will come. 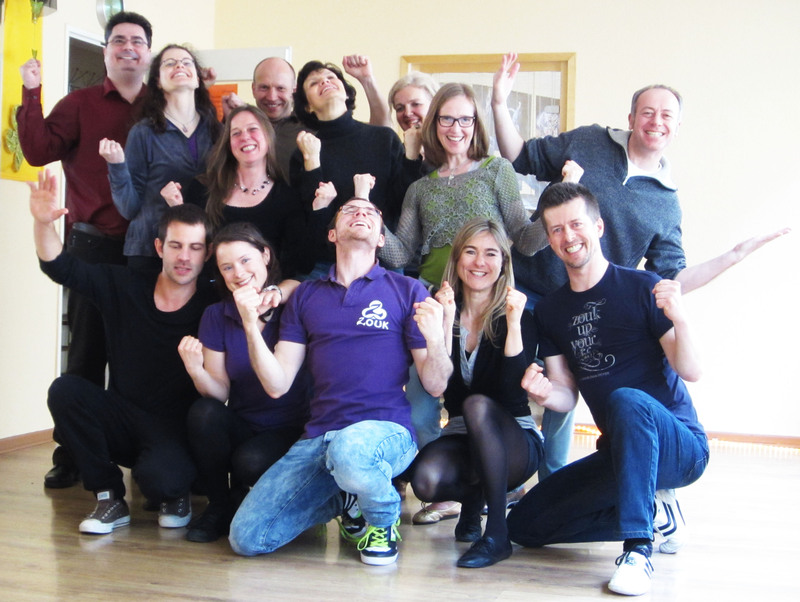 If you visit a course you can come to the Zouk Tea Time Sundays to practice and enjoy zouk. Bremen is waiting for you! Dance zouk with us! Do you want to come to Bremen and dance zouk with us? Nice! We are living and teaching regular courses in this beautiful city in the north of Germany, next to Holland. You’re welcome everytime!